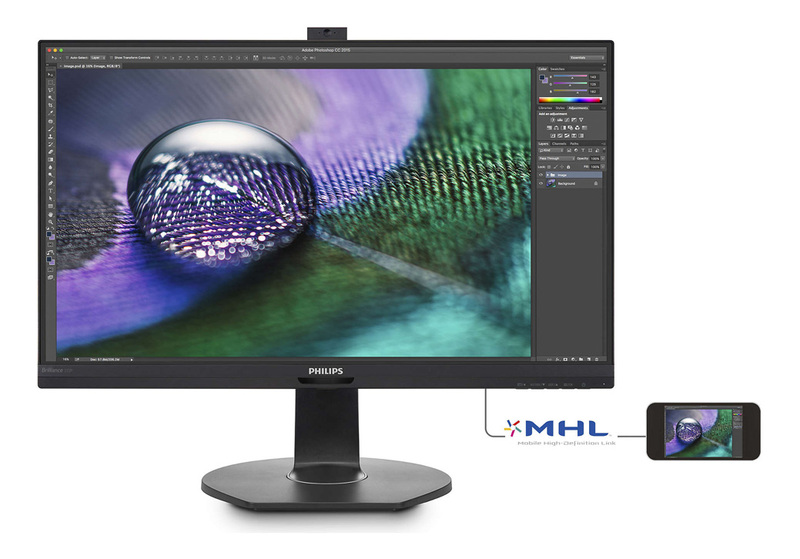 The Philips 272P7VPTKEB is a catchily-named monitor designed for creative types. The monitor is built around a 4K IPS panel with 10-bit colour, which should translate into a sharp and colour-accurate picture ideal for image editing, animation, CAD/CAM, colour grading and other professional pursuits. The 27-inch panel is expansive without taking up too much desk space, while the inclusion of a webcam and USB ports should make this a convenient part of any office. Here’s our review. This Philips monitor comes with a modern design, comprising of that 4K panel surrounded by a relatively thin black bezel. 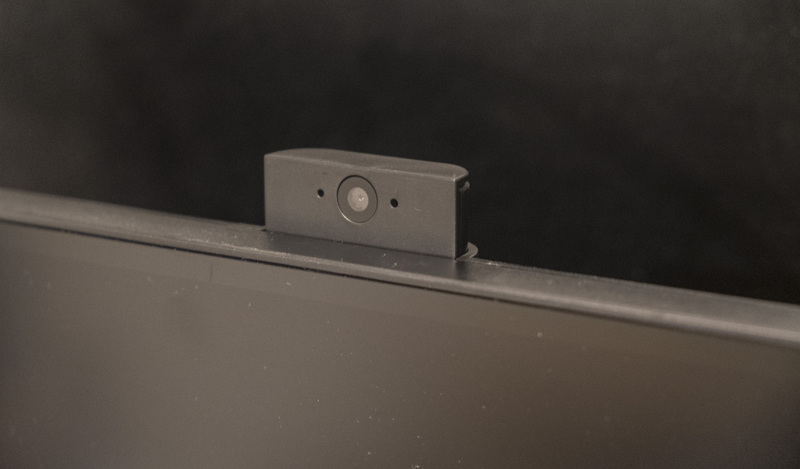 Press on the top of the monitor, and a small 2-megapixel webcam will pop up. An LED appears when the webcam is turned on, and a microphone allows you to record basic audio or make calls. Above the Philips logo at the bottom of the monitor, a small sensor allows the monitor to dim itself if it detects you’ve wandered away. 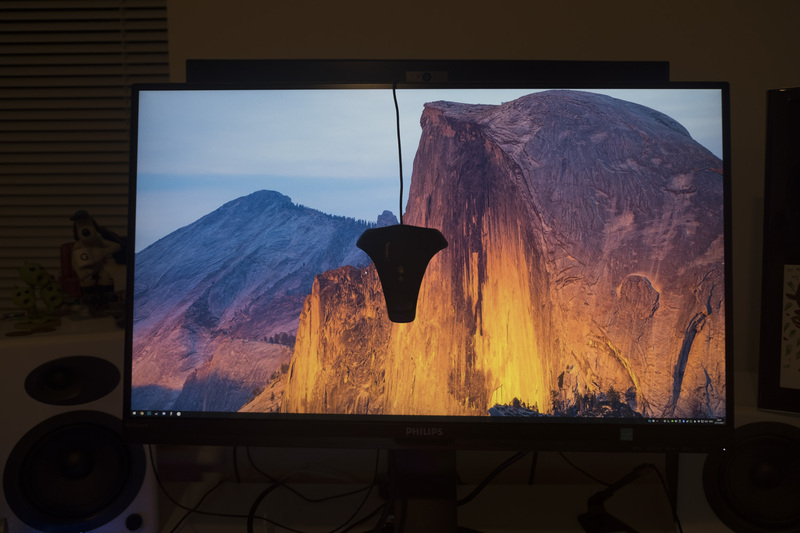 The monitor is mounted on a stylish and adjustable stand, which allows the monitor to be rotated 90 degrees into portrait mode. Swivel, tilt and height adjustment are also possible. 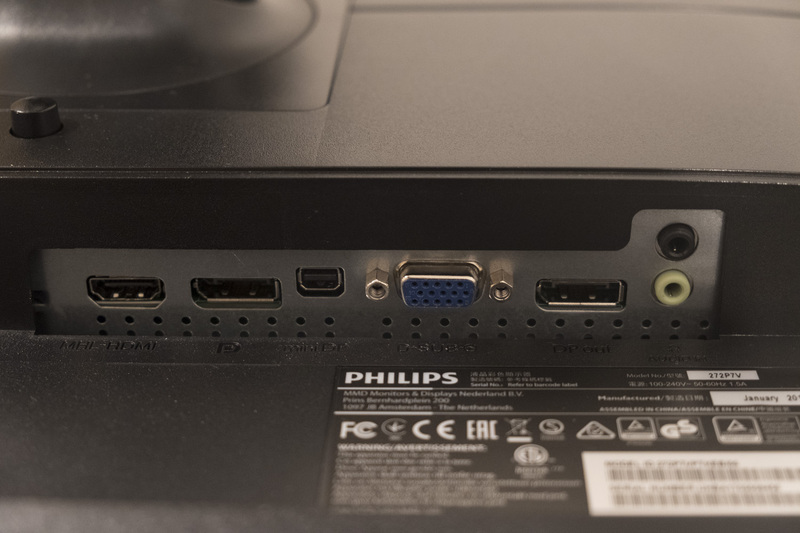 The side of the monitor includes four USB 3.0 ports: one uplink which connects to your PC, and three downstream ports which allow peripherals like mice, keyboards, card readers and so on to be connected. The bottom of the monitor is where all the ports are hiding. Apart from the power input, we have an HDMI 2.0 port that supports MHL, DisplayPort 1.2 in and out(! ), miniDisplayPort 1.2 and VGA (for truly worst-case scenarios). 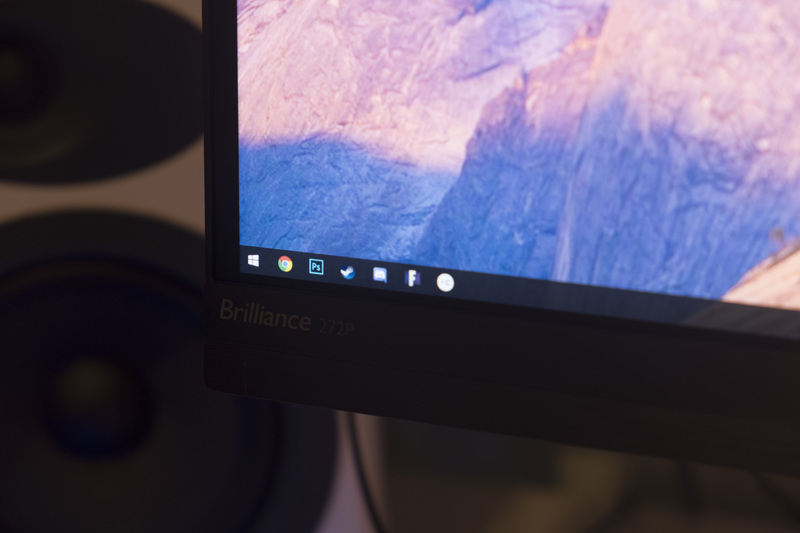 There’s also a pair of 3.5mm ports, allowing the monitor’s pair of 2W speakers to be connected to your PC or headphones to be used. Happily, you get one of every cable in the box. 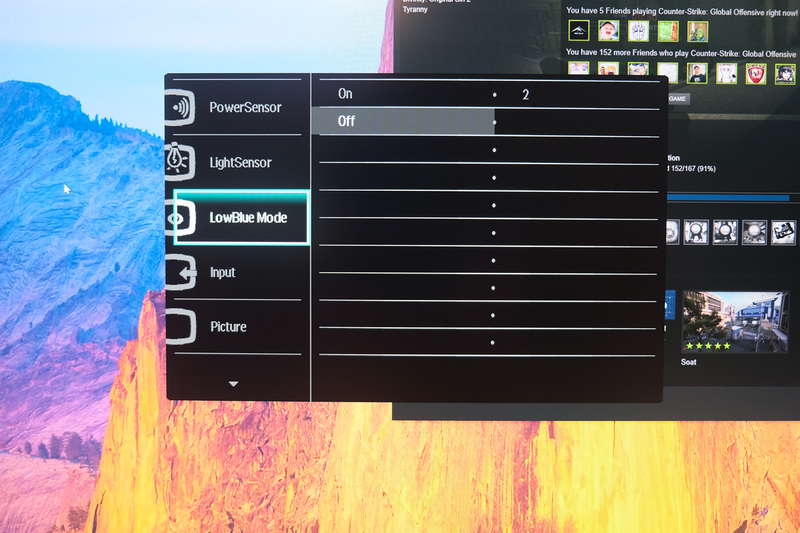 Monitors intended for creative types normally have a deep On-Screen Display (OSD), providing easy access to settings for colour, brightness and so forth. Unfortunately, the Philips 272P7VPTKEB doesn’t impress in this area: the OSD is poorly organised and visually incongruous with the sleek design. The interface includes stretched and seemingly misplaced icons for each section, and every element is severely pixelated. If I had to guess, I’d say that the interface was designed for a 1080p monitor, then applied to this 4K model without any testing or changes. Apart from the visual issues, it takes quite some time to access commonly used settings like Brightness, as you have dig deep into the menu and there doesn’t seem to be a way to set up one of the buttons to go directly to a chosen setting — something that is common on monitors from other brands. This would be disappointing enough for a gaming monitor, but even more vexing on a monitor designed for professional use. The monitor does at least include both a flicker-free backlight and an optional low blue light mode. It’s thought that the blue light of LCD screens can disrupt our sleep patterns, so it’s nice to be able to minimise this affect without installing any software (although the latest versions of Windows and Mac do come with a low blue light mode built in). Once this Philips monitor has been painstakingly set up and the OSD menu closed, things improve. The monitor is set up reasonably well out of the box, and you’ll enjoy a bright 10-bit screen with excellent colour reproduction and strong viewing angles, courtesy of the IPS-style panel used. The 4K resolution is also bracing, giving you plenty of virtual real estate at the default display scaling of 150%. If you prefer, you can go even further to 200%, which scales more clearly (as it’s precisely half the vertical and horizontal resolution) but makes it a bit harder to have multiple windows on screen at once. Scaling has improved considerably on Windows in the past five years, but you will still run into low-DPI assets in some apps and web pages from time to time. Plug in the USB cable provided, and you’ll get full access to the monitor’s side-mounted USB ports as well as a pop-up webcam built into the top of the monitor. The picture provided by this 720p webcam isn’t the highest quality, but it’s more than sufficient for video calls. Annoyingly, the USB uplink cable attaches to the side of the monitor, which doesn’t look very tidy. Still, it’s nice to have three USB ports available on one side. In terms of adjustability, the Philips monitor impresses. The provided stand is stable without taking up an inordinate amount of desk space, and supports tilting, swiveling, rotation to portrait mode and height adjustment. Thanks to the wide viewing angles of the IPS display, you can look at the image off-angle without noticeable changes to colour or brightness. This is particularly helpful when you’re viewing the monitor as part of a group, as everyone sees the same picture no matter where they’re positioned. Now that we’ve briefly discussed this monitor from our perspective, let’s look at some cold, hard numbers. 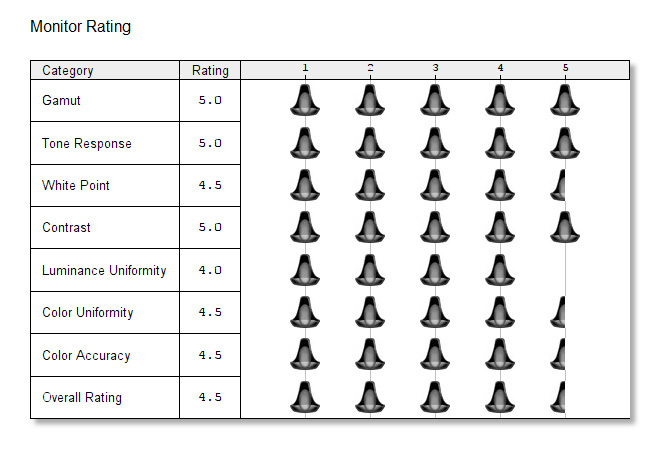 Here is the benchmarks section. We used the Spyder4Elite colourimeter to first calibrate the monitor to 120 nits. 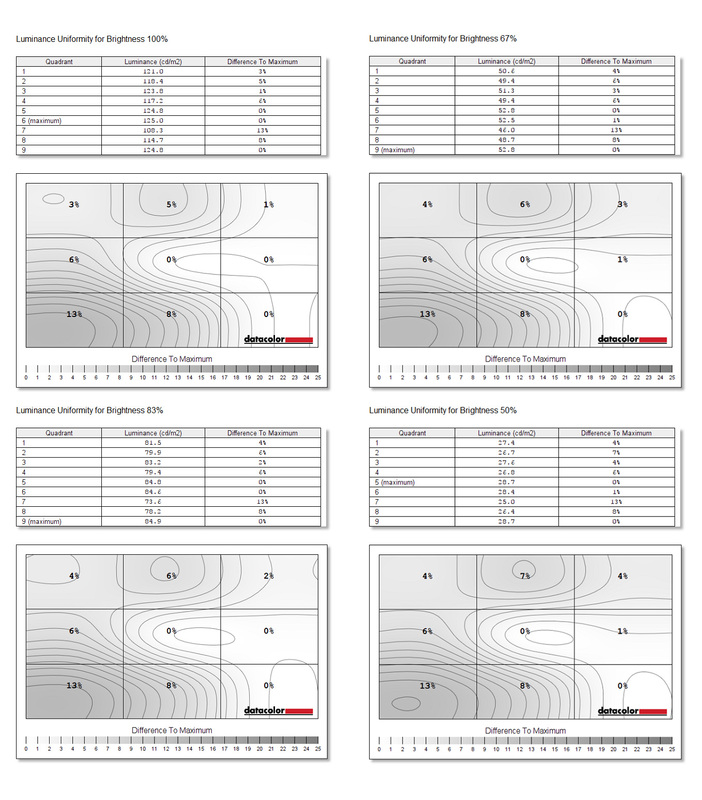 Here is our .ICM file, if you’d like to apply the same alterations to your monitor (although this may or may not be better than the default; all panels are different). For our initial readings, we can see we’re only a single nit off our 120 nits target, with relatively low black levels that provide a contrast ratio of about 635:1. 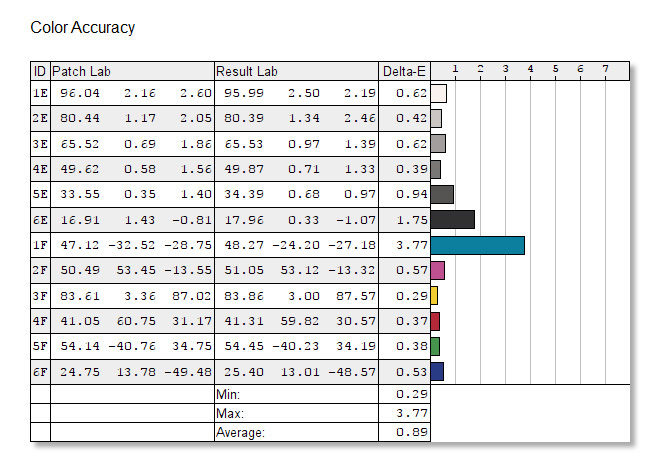 The white point is right on target, primaries look good and ΔE values are both below 1.0 — excellent. Gamma is a little overeager though, at 2.24 instead of the 2.2 we’re hoping for. In terms of colour gamut, we hit all of the sRGB gamut, making this monitor a potentially good choice for colour-sensitive work — but we’ll have to check its accuracy and uniformity to get the whole picture. We also hit 81% of AdobeRGB and 77% of NTSC, which is respectable enough as well. Our next test looks at how brightness, black levels and therefore contrast differ at different brightness levels. You can see that contrast levels increase slowly as we get closer to 100% brightness, which provides 263 nits — about as bright as you’d probably need. We used a figure of 30% brightness for our testing, which corresponds to nearly a contrast ratio of around 700:1. Based on the colourimeter’s known under-reading of contrast levels, it’s safe to say that the 1300:1 contrast ratio is reasonable. Our display gamma is right on the money at 2.2 — awesome. 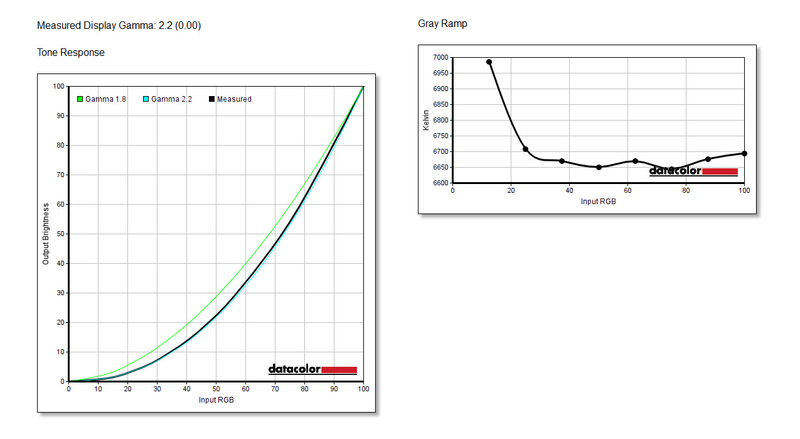 The grey ramp is also quite consistent, sitting between 6700 and 6650 Kelvin throughout most of the range. 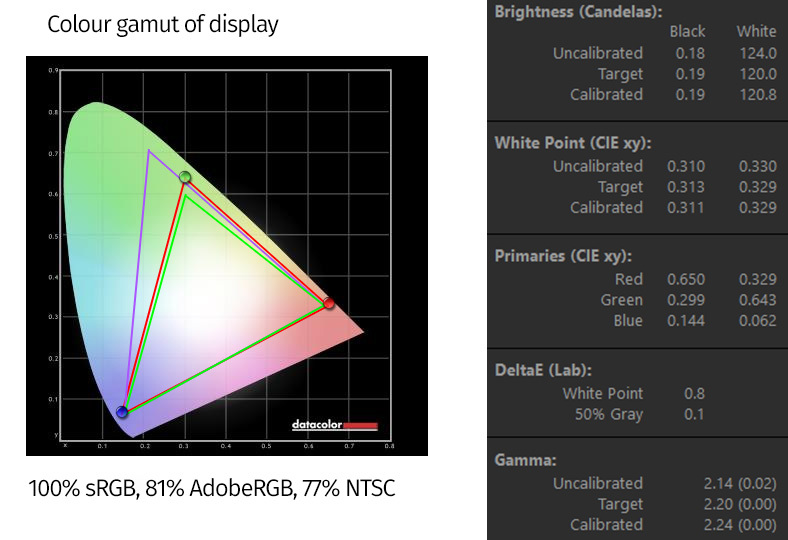 Colour accuracy is always important for a creative-focused monitor, so it’s good to see a strong result in this section. We’re looking at low error values across the range, apart from the teal shade that always gives us some issues. The average error value of 0.89 is excellent, and more than qualifies this monitor for professional use. When we look at colour uniformity, things are a little disappointing. We see the top left quadrant looks good, but things shift noticeably as you head towards the opposite corner. This is less severe at low brightness settings, where you’re most likely to use the monitor, but it’s still a little disappointing. Luminance uniformity is another important figure to test, as you don’t want one part of an image you’re working on to appear brighter than the other side — these inconsistencies can result in a botched final product. Thankfully, the luminance uniformity here is excellent, with almost all of the quadrants looking extremely similar. The bottom left quadrant is the lone exception, but it’s not enough to distract from an impressively uniform panel. 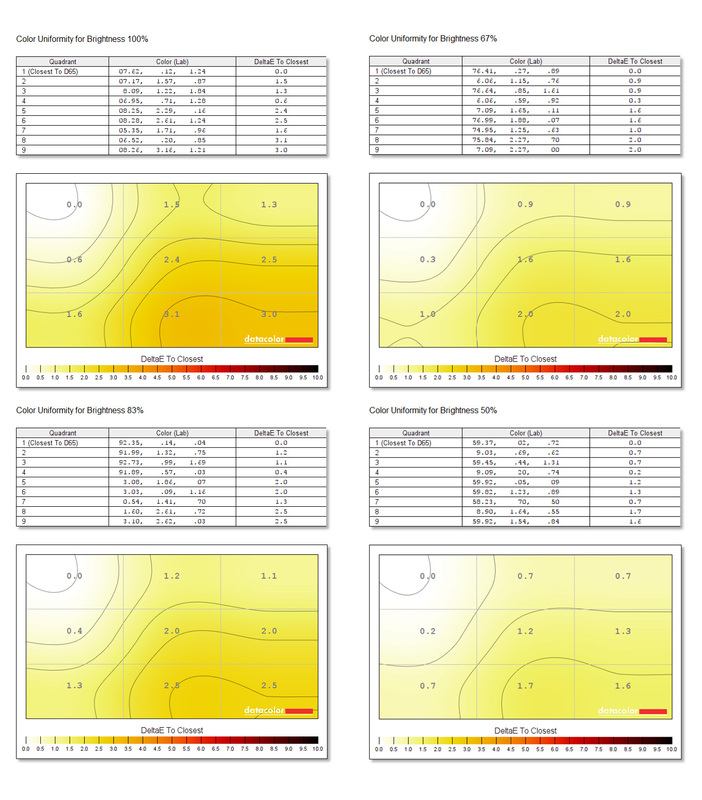 We’ll conclude with the colourimeter’s built-in software rating, and it’s one of the best we’ve ever seen. We’ve got 5.0 and 4.5 ratings across the board, denoting excellence, with luminance uniformity getting the sole 4.0 score. All in all, there’s not much to disagree with here! The Philips 272P7VPTKEB isn’t a perfect monitor. Its on-screen display is poorly implemented, and its USB downstream link seems poorly placed. However, these are minor flaws that weren’t game-breakers for me. Instead, I spent most of my time thinking about the monitor’s impressive colour reproduction, its expansive resolution and accommodating adjustability. In every essential measure of quality, this monitor impresses. However, it’s also worth considering value for money. 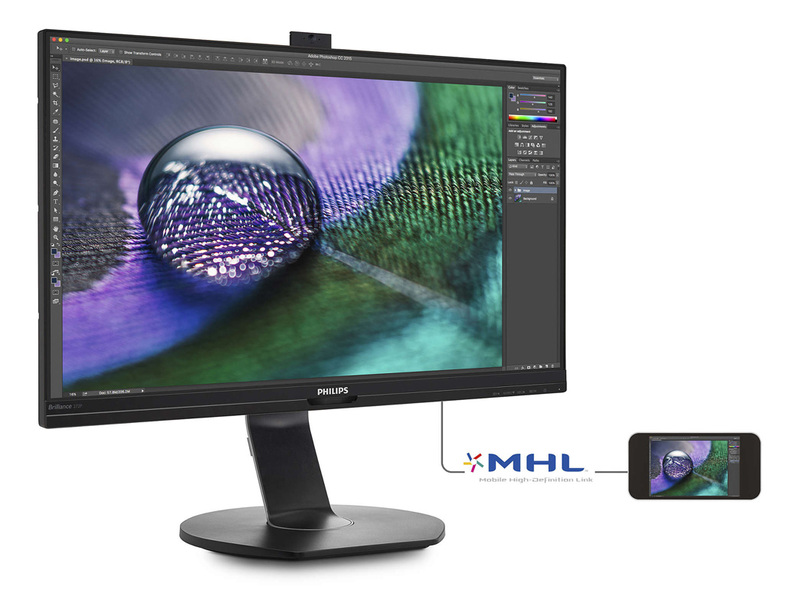 This Philips monitor costs £650, yet BenQ’s BL2711U offers precisely the same bullet points — 27 inches, 4K resolution, 10-bit IPS panel — for less than £450. The Philips monitor is perhaps better looking, has a webcam and is a bit more adjustable, but is it £200 better? Not in my estimation.